I'm shifting focus from infrastructure and research to solutions and customer projects. 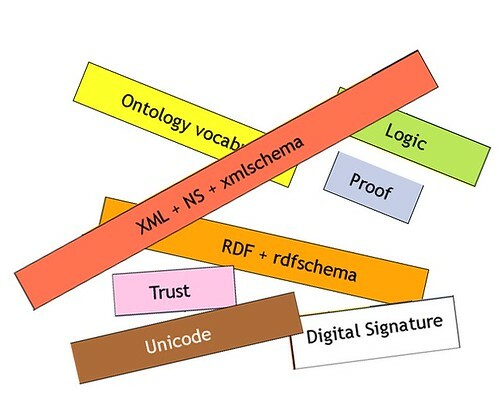 All right, this post could easily have become another rant about the ever-growing complexity of RDF specifications, but I'll turn it into a big shout-out to the Semantic Web community instead. After announcing the end of investing further time into ARC's open-source branch, I received so many nice tweets and mails that I was reminded of why I started the project in the first place: The positive vibe in the community, and the shared vision. Thank you very much everybody for the friendly reactions, I'm definitely very moved. The ARC website, mailing list, and other forms of free support. The code and documentation get a new home on GitHub, though. The user community is already thinking about setting up a mailing list on their own. Development of ARC is going to continue internally, based on client projects (it's not dying). Semantic CrunchBase. I had a number of users but no paying ones. It was also one those projects that happily burn your marketing budget while at the same time having only negative effects on the company's image because the funds are too small to provide a reliable service (similar to the flaky DBPedia SPARQL service which makes the underlying RDF store look like a crappy product although it is absolutely not). Knowee, Smesher and similar half-implemented and unfunded ideas. Looking forward to a more simplified and streamlined 2011. Lots of success to all of you, and thanks again for the nice mails!